Put your hiking boots on and take advantage of farm Kienzlhof as perfect starting point for interesting hikes. 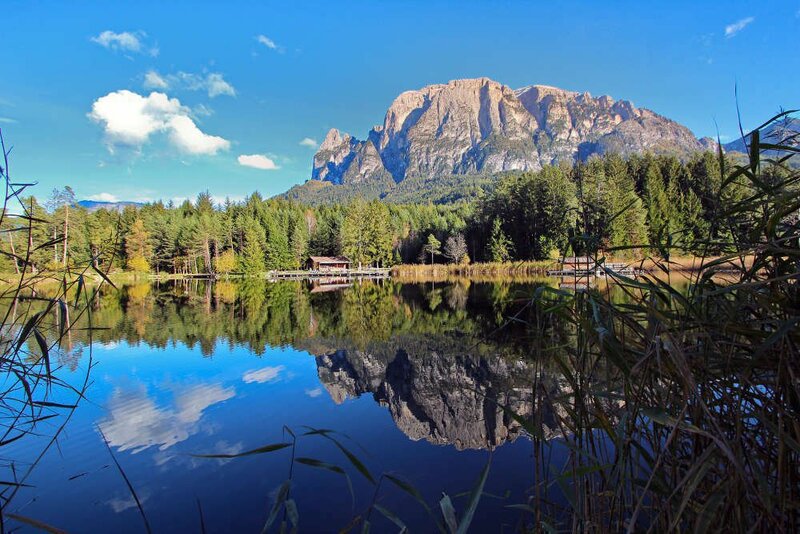 Our farm is located in the heart of Schlern-Rosengarten natural park. The offer for families is also very interesting: the area around the Schlern has always been known for its stories about witches. That is why we recommend a hike to the “Hexenstühlen” (chairs of the witches) above Kastelruth, a boulder in the wood, whose unique form has fueled the imagination of many generations. 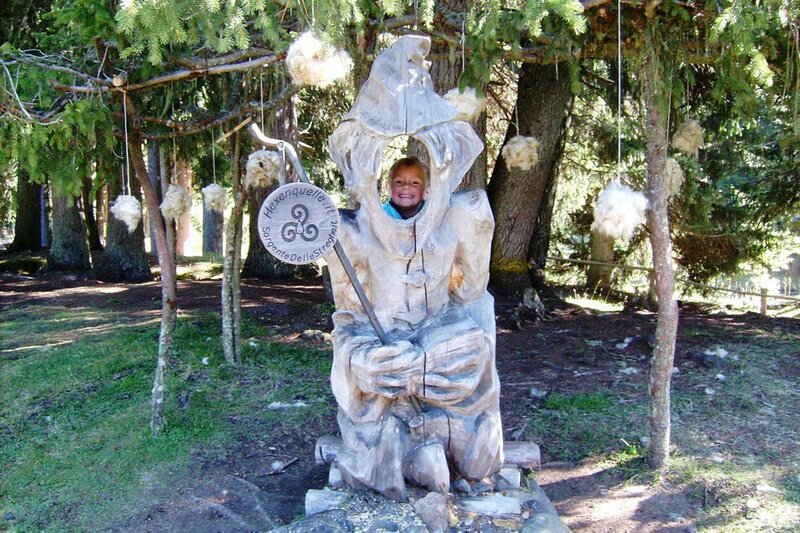 It is a hiking destination ideal for families with older kids to tell stories about witches, while walking to the destination. Same theme has the barefoot and adventure track “Hexenquelle” (spring of the witches) on the Seiser Alm. Along the path you can admire sulphur springs and beautiful wooden figure. A further interesting family hike is the Oswald-von-Wolkenstein path, that starts in Seis am Schlern. 15 stations to know everything about the life in the Middle Ages. The path will bring you also to the ruins of Salegg and Hauenstein. Another beautiful family hike is for sure the one that brings you to the Marinzenalm. A chairlift will bring you directly from Kastelruth to the arrival, where a petting zoo and an adventure playground are waiting for all children. There is also a pond where you are allowed to fish, you can rent all the equipment directly there! After a long hike, there is nothing better than go swimming and refresh your body, for example at the outdoor swimming pool of Telfen in Kastelruth. This pool is a beloved meeting point in and around Kastelruth thanks to its bar and children swimming pool. Another beautiful place to swim is the Volser Weiher lake near Völs am Schlern, where you can also rent a boat and row around the lake.